The state Department of Environmental Protection has filed a formal appeal in an attempt to stave off what they believe will be devastating impacts to the recreational fishing and boating industries this year if a major cut to the summer flounder quota is finalized. The 34-percent quota reduction approved in February by the Atlantic States Marine Fisheries Commission “will have a devastating impact on the state’s fishing industry and tourism economy while paradoxically harming the long-term health of the state’s summer flounder stocks,” Commissioner Bob Martin said. 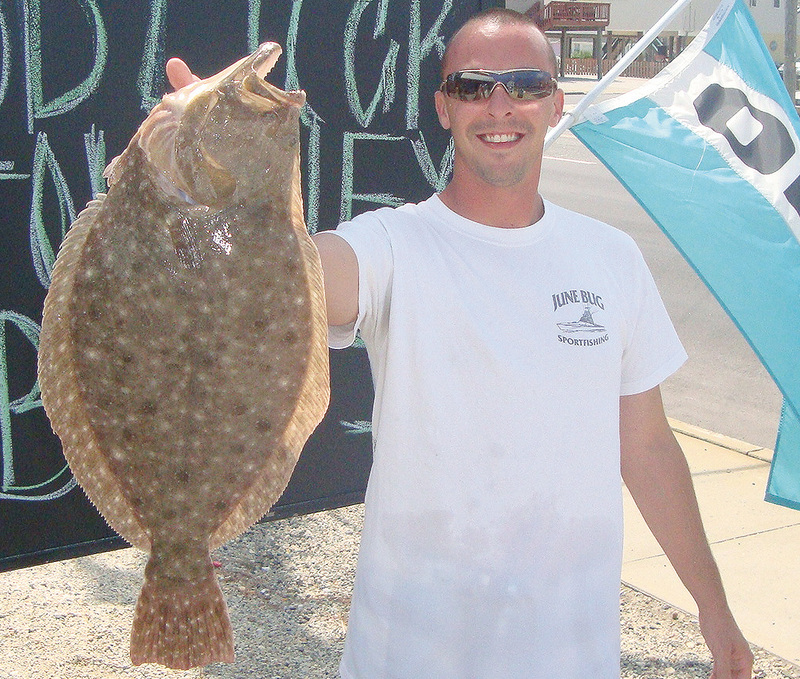 To achieve the 34-percent reduction, New Jersey would be forced to increase the minimum size limit for summer flounder, also known as fluke, from 18 inches in most state waters to 19 inches, making legally sized fish more difficult to keep. Additionally, the number of fish that could be kept under the new restrictions would be reduced from five to three. Recreational and commercial fishing employs 65,000 people and generates some $2.5 billion in annual economic benefits to the state. Summer flounder, state officials said, is one of the state’s most sought-after recreational fish species, prized for its delicate flavor and easily found close to beaches and in bays and creeks. Opponents of the decision say the commission uses outdated and scientifically unsound techniques to calculate fish stocks. One of the reasons behind the cut in quota – the fact that anglers caught too many fish in previous years – is a product of the health of the fishery, which was considered fully rebuilt to legal standards by the federal government. Further, a DEP analysis of the quota reduction determined that the number of undersized, or discarded, fish that die after being thrown back will be greater than the number of fish that will be harvested. This would be the first-ever such imbalance for the state. Flounder, like all fish, are susceptible to mortality from hook wounds and stress. Plus, research has shown that all flounder above 18 inches in length are females, meaning just one gender would be harvested. “Discard mortality that exceeds harvest is not acceptable from a fishery management standpoint and will not be well received by the recreational fishing sector,” the state’s representatives wrote, adding that such waste would be inconsistent with goals established by federal law. New Jersey’s representatives to ASMFC are New Jersey Division of Fish and Wildlife Director Larry Herrighty, Governor’s appointee Thomas P. Fote of the Jersey Coast Anglers Association, and Legislative Commissioner Assemblyman Bob Andrejczak. The New Jersey Chapter of the Sierra Club, which often is a proponent of strict regulations, came out against the state’s position. Martin said the state’s position is sound.